“Rickety cabins, such as the miners live in, are easily knocked down and set up again, or put on wheels and moved across country,” wrote Mary Wood-Simons in 1911. “In one instance, the mule shed of the old camp found itself metamorphosed into miners’ shacks in the new camp.” Others were more permanent with houses, schools, retail, blacksmiths, and churches, which later became towns or hamlets. They adopted names like 42 Camp, Blue Goose, Buzzard’s Roost, Dogtown, Foxtown, Frogtown, Little Italy, Pumpkin Center, Red Onion, and Water Lilly. Kansas miners played a key role in supplying lead and zinc needed during World War I and World War II. During the boom years, coal companies made large profits, which spurred workers to want increased wages and better conditions. When they staged strikes, the Kansas Supreme Court placed the mines under state control. Volunteers were brought in to replace the strikers to satisfy the state’s need for coal. A group of women who were related to the strikers marched in protest in 1921. The marchers in this “Amazon Army” were considered heroes who risked arrest to support the strikers’ efforts. To protect workers from dangers, the state inspector of coal was established in 1883. As part of the regulation, boys younger than 12 years of age were prohibited from entering mines. 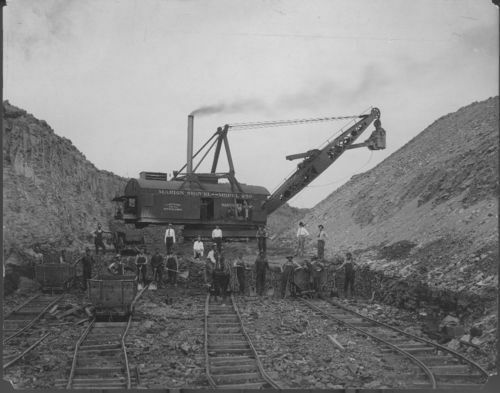 An explosion at a mine near Frontenac in 1888 resulted in the death of 44 men and boys in Kansas’ worst mining disaster and led to further regulations to improve working conditions and increase safety for the miners. After peak production in 1926, most of the mining ended by 1970; all closed by 1997. Kansas miners produced 50 percent of all zinc and 10 percent of all lead mined in the United States, carrying to the surface nearly 2.9 million tons of zinc and 115 million tons of ore. A 1977 law was implemented to return the former mines to useful productive land. Many stories, photographs, inspection reports, and records of these miners are preserved in the collections of the Kansas Historical Society.